A reporter for the now defunct St. Louis Globe-Democrat picked up a tip from the FBI that Bradford was hiding in Guyana – that Bradford was, in fact, a lieutenant in the Guyana Defence Force (their army). This reporter told me he had verified Bradford’s presence in Guyana, and said Bradford was using a Swahili name. 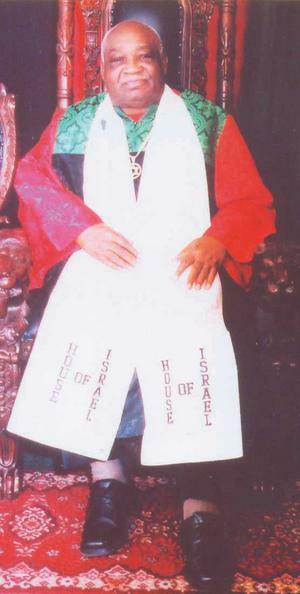 FOUNDER and leader of the House of Israel in Guyana, Rabbi Edward Washington, also called David Hill, died in the United States Monday, the local organisation confirmed yesterday. The cause of the 77-year-old’s death has not yet been ascertained, a House of Israel spokesman told the Chronicle yesterday afternoon. Washington, known as an enforcer during the Forbes Burnham regime had been living in the US for the last eight years after spending almost 25 years in Guyana. Despite its name, the House of Israel was neither Israeli nor Jewish-oriented. It was, instead, a black supremacist cult claiming that Afro-Guyanese were the original Hebrews. Cult adherents further believed that modern-day Jews were, in fact, descendants of other non-Jewish biblical peoples and were in Israel illegally. Serving as a paramilitary force for the PNC, the House of Israel – in the late 1970 and early 1980s -had some 8,000 members, including a 300-member guard force known as the "royal cadets." When Burnham died and Desmond Hoyte became president, the House of Israel reportedly fell out of government favour. In July 1986, Rabbi Washington and other key House of Israel leaders were arrested and charged with murder. Following his release from prison here in 1992, FBI agents escorted Washington – who was also an American fugitive wanted for, among other things, blackmail, larceny and tax evasion - back to the U.S. to face charges there. However, he returned to Guyana later that same year and he continued to work to re-establish the power base of the House until he left Guyana permanently in 1997.